These ROVs are portable, rugged, and reliable. We have sold global customer service and support. The Defender and Pro 5 more than 4,000 Pro 4, Scout, Explorer and Voyager models. 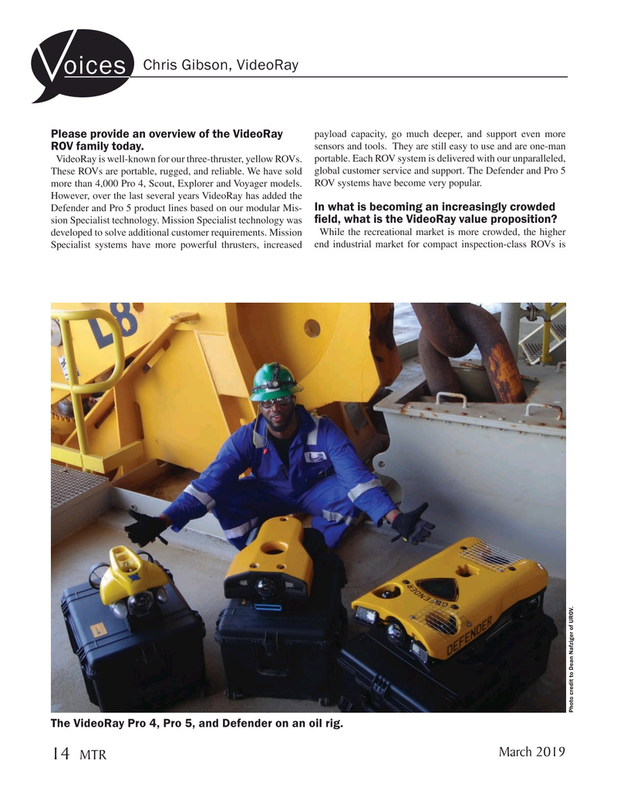 ROV systems have become very popular. Defender and Pro 5 product lines based on our modular Mis- ? eld, what is the VideoRay value proposition? Photo credit to Dean Nafziger of UROV.